Courtesy of Windpoint Realty LLC, Jamie Rodriguez. LAKEFRONT living doesn’t get any better than this! Over 1300 sq ft with panoramic views of Spring Lake! 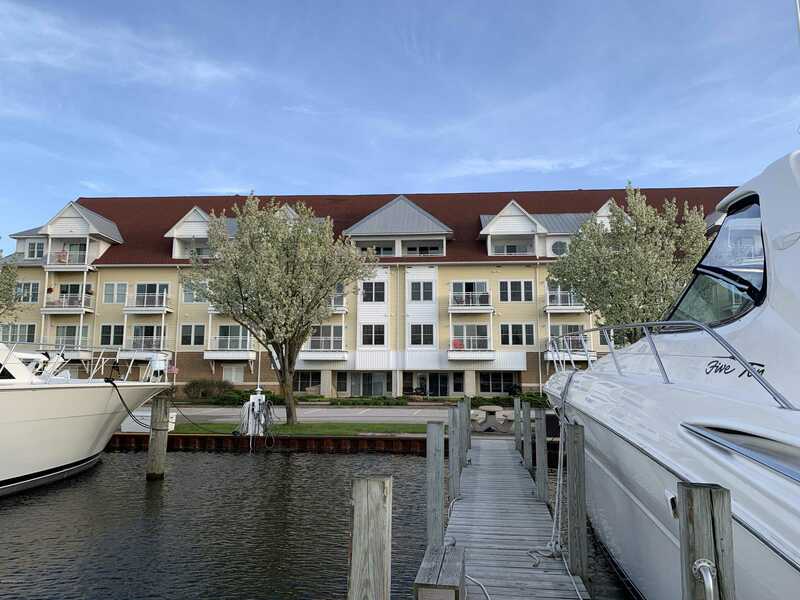 Convenient Location just minutes from the Lake Michigan Shoreline. Amenities include outdoor swimming pool, picnic facilities, bike path/walking path that leads into Grand Haven or through Spring Lake. Indoor parking with elevator access. 2 Large bedrooms and 2 full baths, spacious open floor plan with 9 ft ceilings and views of Spring Lake. High-End Finishes: Surround sound, electric marble fireplace, large kitchen island, quartz countertops, tiled walk-in showers, garden tub, washer and dryer in unit. Dock rentals/Boat slips available from Barretts Marina on site. Restaurants just a short walk away. Recent Updates Include new carpet, new lighting fixtures and ceiling fans. Directions: M104 just East of the 31 Overpass.